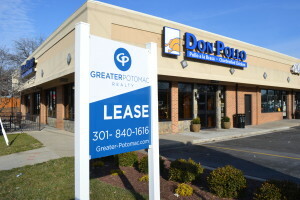 Since 1977, Greater Potomac Realty has provided their commercial real estate clients with outstanding customer service. Our company offers a full range commercial services including leasing, sales & property management. Whatever your real estate requirements are Greater Potomac Realty has the expertise and resources to ensure your satisfaction. Unlike most large real estate brokerages, Greater Potomac Realty is not solely focused on quotas. Your business is not just a number to us. We believe it is essential to give each individual transaction the same focus and attention regardless of the size and scope. By doing this Greater Potomac Realty has been able to build trust and long term relationships with their clients for over 40 years.